Preparing your income tax returns, so you don’t have to. Maximizing your tax planning, to minimize your tax. Processing your payroll, so you can focus on business growth. Setting up Quickbooks at your business, so you can better manage your finances. Performing accounting entries, so you never have to stay up all night balancing the books. Business consulting, to help plan for the future. Lauryn Charles owns and manages AFSG. Accountable Financial Services Group, Inc was founded in July of 2007. Owner, Lauryn Charles, has many years of experience working with small business owners in the field of accounting, banking, and financial services. 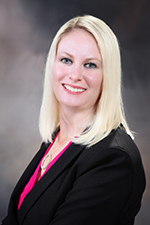 She specializes in the use of QuickBooks to simplify her clients’ business operations. She is an expert tax preparer and accountant. As an accounting graduate and with an MBA in International Business from Florida Atlantic University, Ms. Charles is happy to serve any of her clients needs. She is a Registered Tax Return Preparer as designated by the Internal Revenue Service. Her accounting office is located in Deerfield Beach where she is proud to support the community and young hard-working professionals. Ms. Charles is a member of the Pompano Beach and Deerfield Beach Chamber of Commerce. She is on the board of directors of multiple non-profit organizations, she is the co-founder of Pompano’s Young Professionals, and serves many other charitable organizations in the area. Kelly Francis is the lead accountant at AFSG. She graduated from Florida Atlantic University with a Bachelor’s Degree in Accounting. 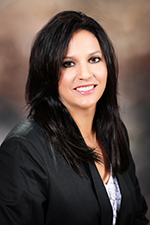 She worked in property management and hospitality industries before joining our team. She works one-on-one with our business owners to prepare accounting work in QuickBooks, prepare financial statements, process payroll for their employees, and prepare personal tax returns each and every day. Sue DiCaprio is an expert accountant at AFSG. She has a Bachelor’s Degree in Finance from Sienna College. She has worked in the Accounting field for over 15 years. She works one-on-one with business owners to prepare accounting work in QuickBooks, prepare financial statements, process payroll for their employees, and prepare other tax related documents. Who runs Accountable Financial Services Group? Lauryn Charles owns and manages Accountable Services Financial Group. Lauryn has years of experience in business accounting, is the founder of Young Professionals of South Florida, and is the past president of the Better business Network. Lauryn is heavily involved with the small business community, and this network gives her access to a wealth of options for her clients. Who does Accountable Financial Services Group serve? We serve small businesses, individuals, non-profits, homeowners associations, and condo associations. What sets Accountable Financial Services Group apart from other accountants? When you hire Accountable Services Financial Group, you’ll get quality work at competitive rates. We’re always open to answer your questions, and you’ll receive friendly, personalized service. We also have access to a large professional network, which we can call upon if you require.